If you are looking for a resource for your church’s new member class, this is a book you will want to read. 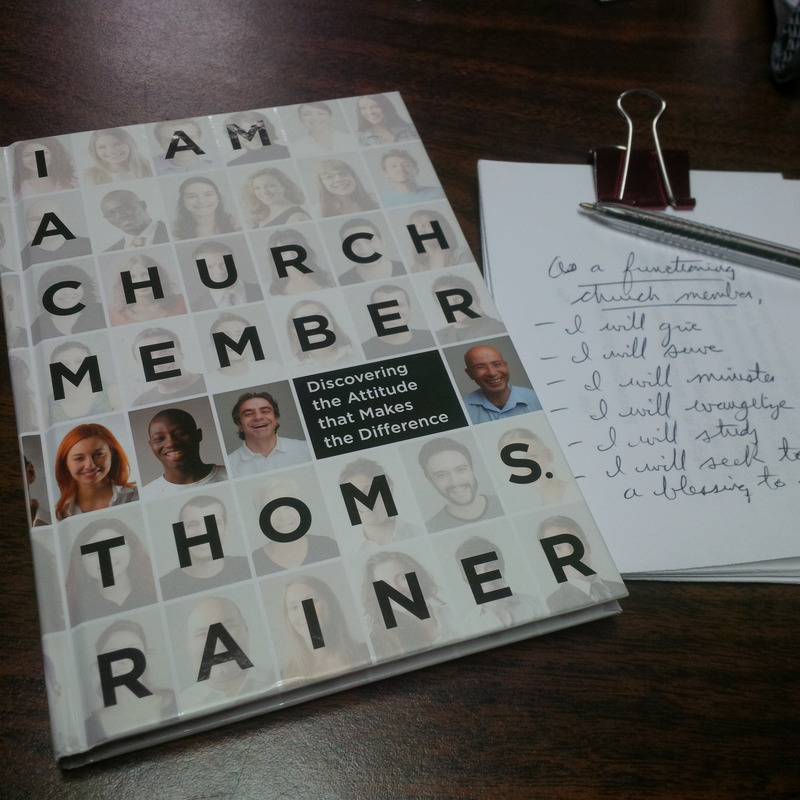 Thom Rainer, CEO of LifeWay Christian Resources, has written I Am a Church Member: Discovering the Attitude that Makes the Difference. It is a short book that can easily be read in one sitting, but it has the potential of making a big impact in local churches. The book opens with a story about two members of the same church with completely opposite attitudes about church. Then he zooms in on the Biblical attitude members should have in six short chapters, based on Rainer’s extensive research in attitudes among church members. These chapters teach members to be active, bring unity, avoid the tendency to insist on personal preferences, pray for leaders, lead their own families to be involved, and to treasure church membership as a gift. The main point of the book is that church membership is not like a country-club membership with perks and privileges. There are some churches that reject the term “membership,” saying it is an unbiblical modern term. Rainer disagrees, pointing out that 1 Corinthians 12:27-28 speaks of the “individual members” of the church. Rather than reject the term, Rainer seeks to give a Biblical definition of the term “membership.” He emphasizes that Biblical church membership is a treasured gift, just as our salvation is a gift, and thus we should serve in our churches gladly, not begrudgingly. One of the strengths of this little book is that each chapter includes a pledge of loyalty for members to make. This requires the reader to respond to the challenge of the book. Each chapter also includes discussion questions, making this book an outstanding resource for small group or one-on-one study for church members, both new and old.